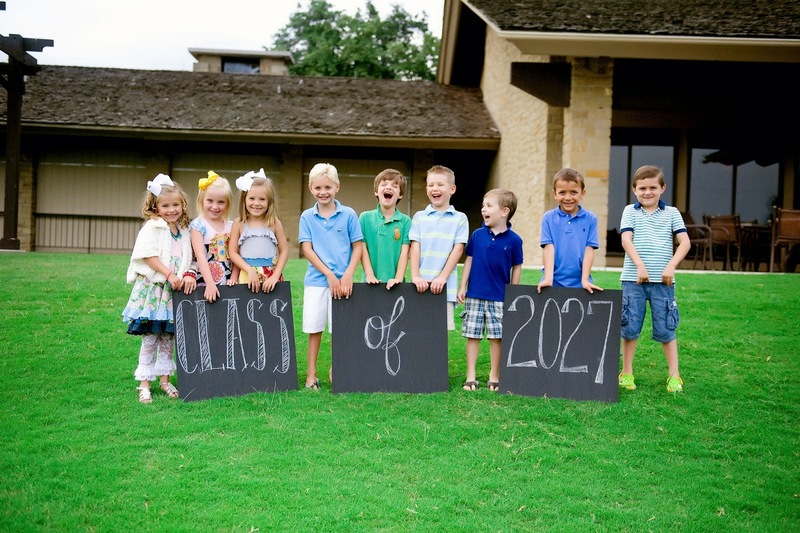 My kids go back to school next week and as much as I'd love another 3 weeks of summer that's just not going to happen so we're fully embracing all things back-to-school and getting excited about Kindergarten, Second and Fourth grades (and year THIRTEEN of teaching!). Luke had originally picked out a red pair but they didn't come in the Men's FIVE that he needed and so he settled for matching his brother. And yes... I said mens' five... don't ask me when that happened. 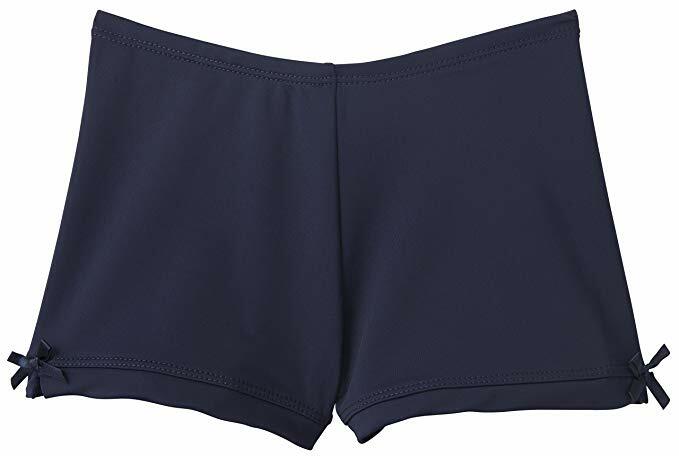 They're spandex shorts that she wears under her skirts and they're comfortable, not bulky and wash and dry a million times and look brand new. My kids backpacks are all still going strong so we're sticking with those - their exact styles are sold out because they're older - but they all have North Face bags and they've all held up really well. I've talked about Yumboxes for YEARS - and it's a school item we couldn't live without. ... the original size box is on the left and the new tapas box is on the right. We opted for the larger size because it can hold an entire sandwich without having to cut it up and our boys eat a TON. 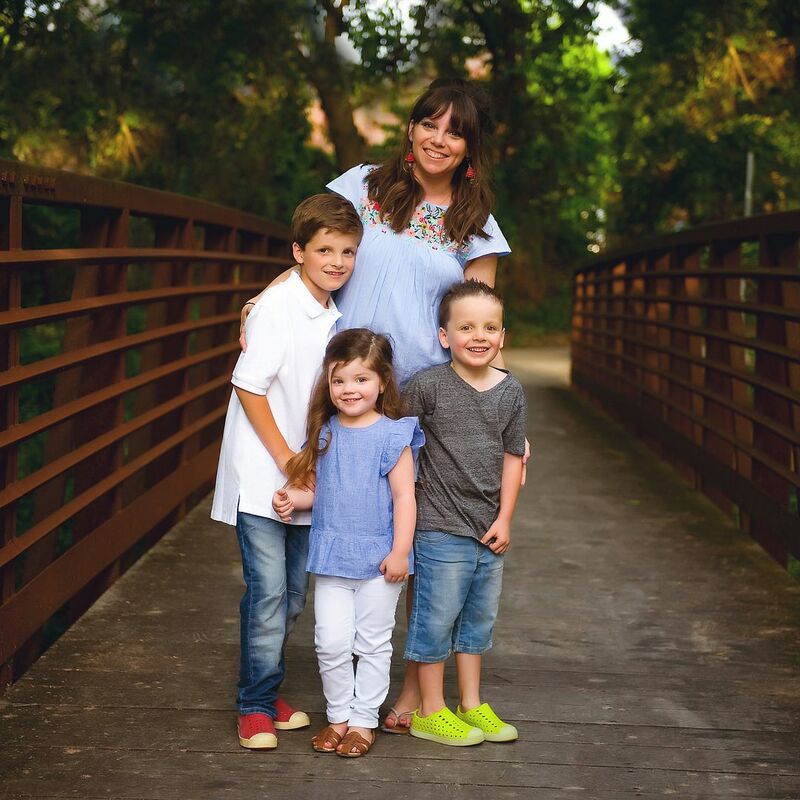 You can check out THIS POST from last year for more ideas of how I packed their lunches in Yumboxes. One thing about the larger Yumboxes is that they don't fit in a regular size lunch box. My kids were all in need of new ones anyway so I got them each one of THESE. The tapas boxes fit inside perfectly with room for a drink, snack box, extra snack, ice pack, etc. I got my new teacher planner in the mail a couple of weeks ago and I can't wait to start filling it out! 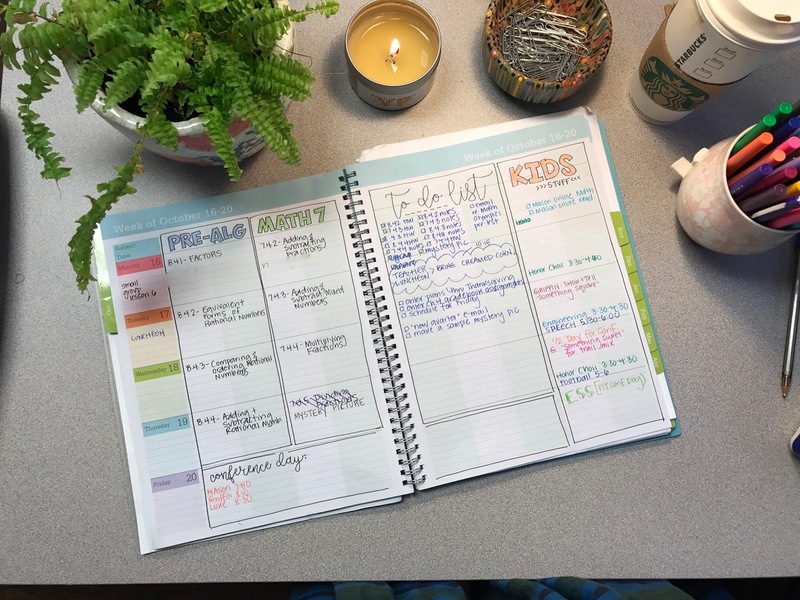 Last October I shared a bit about my teacher planner in THIS POST and my plan is to use the planner the same way this year. 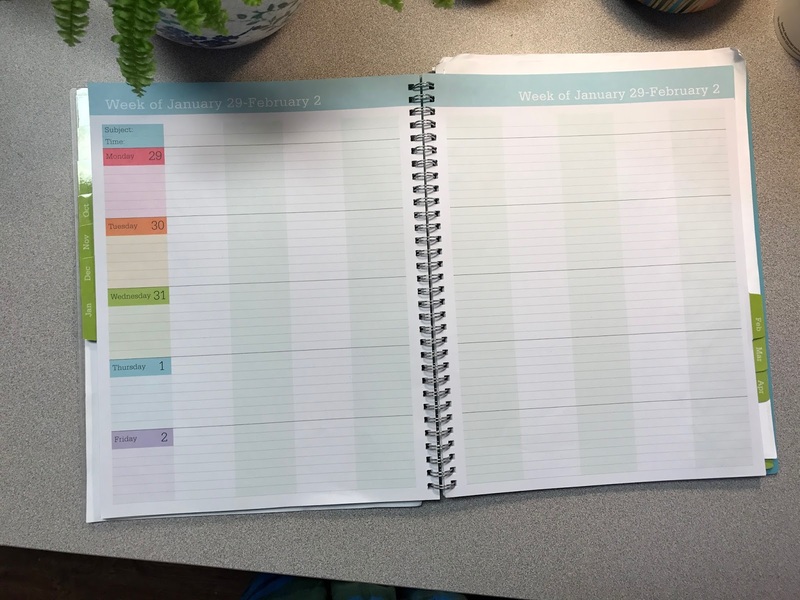 I love how customizable it is to my middle school schedule (a lot of teacher planners are scheduled out in 10 minute blocks and that doesn't work for me) and the fact that it's under $20 is icing on the cake. ... and this is how I set it up for my classes. (These pics are from last year because I haven't worked on my 18/19 one yet). I love that it also has the monthly section where I can keep track of important dates/deadlines/terms and get an overall idea of my month. 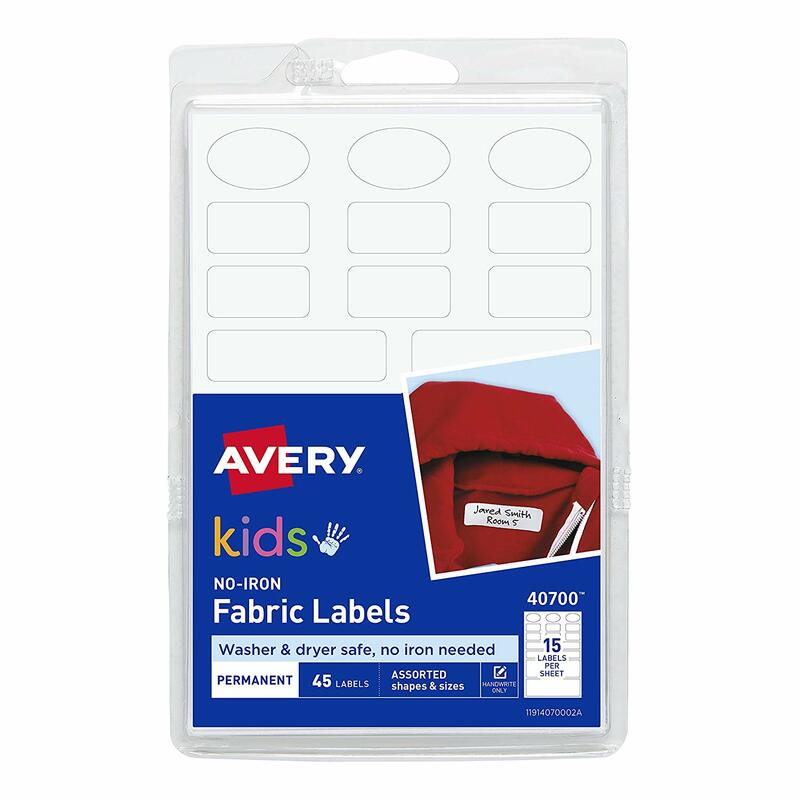 The other "gear" item that we always stock up on are THESE LABELS. 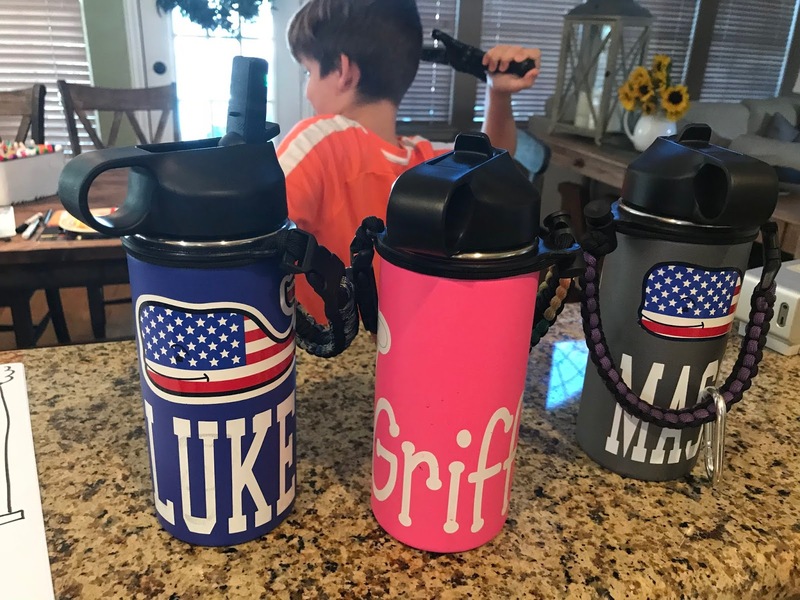 The kids have used these water bottles all summer and they have been FANTASTIC!!! They hold ice all day and have held up to a week at camp, been tossed around in the car, at the playground, on outings, etc. and are still going strong. There you have it! All the back-to-school gear! We don't have to do supply shopping because our school offers supply "packages" that you can pre-order and have delivered to your kids classroom. YES MA'AM! 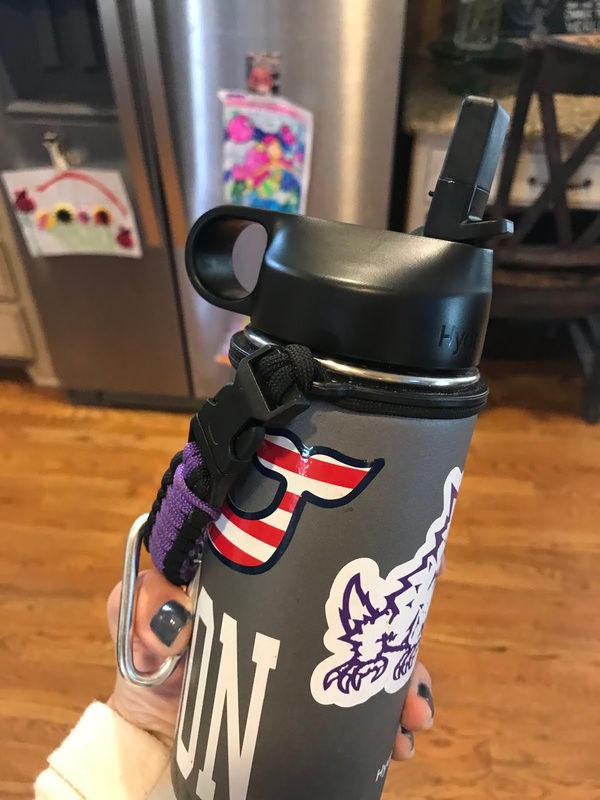 It supports the PTF, couldn't be more convenient and the teachers love it because they have access to the supplies before school starts and can get things labeled and ready and stored for the kids. SIGN US UP! I've been doing your "You, By the Numbers" the first week of school since you've mentioned it. Thanks for the great idea! My kids each have a Yum Box. I love them, and my kids will use them in the summer for when we go to the beach, or we pack lunch to go somewhere. But, they are so resistant to bring them to school! I wish they would because I think they're so much easier, but around here, no one else has them so they're embarrassed. I say start a new trend, but they're not ready to do it. My 2nd grader wants to try the snack box this year, so we'll do that. Looks like you're all set for a great school year! I bought myself a Yumbox after reading your posts. It's awesome! The Kindergarten Kick Off Dinner pick is giving me ALL THE FEELS. That was yesterday, right? Oh my goodness. And now you're guy is wearing SIZE 5. Shaking my head. Do the yum boxes fit in a pottery barn kids lunchbox? Love all this gear, and especially the artwork you do in your planner! You are so talented. You guys will definitely be prepared and I hope you have a great time going back to school next week! I love all of your gear. I agree with you, I don't mind spending a little more on items like the water bottles or backpacks and being able to use them for a couple of years. Looks like you are all set for a great school year! I am a teacher too! I am currently back in the classroom after being in intervention for three years. I love all of your school stuff! You are so amazingly talented! Our school offers the supply boxes too! I was blown away when I had two parents haul in those huge boxes today filled with everything on the supply list for our grade level. I was just so excited! What a smart idea and very convenient. Have a great start to your year! Our kids start back on Monday too! Your artistic abilities never cease to amaze me! !